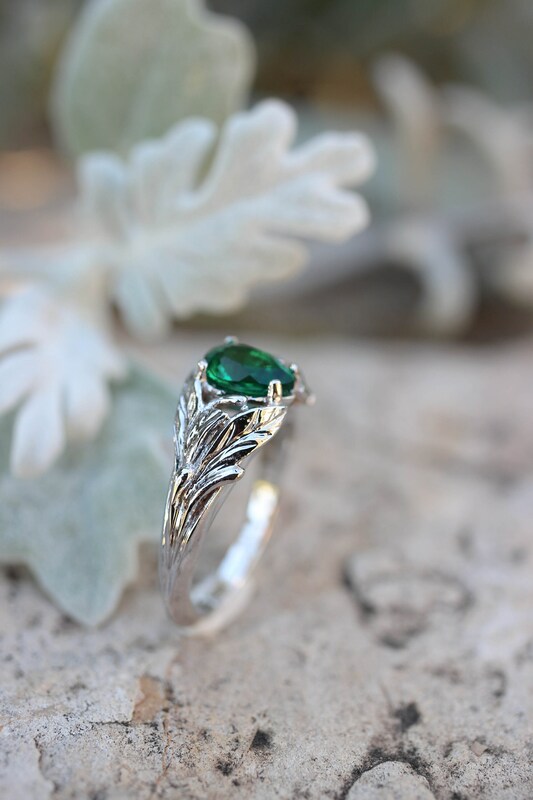 This unique engagement ring is made from solid 14K white gold and adorned with lab created emerald. 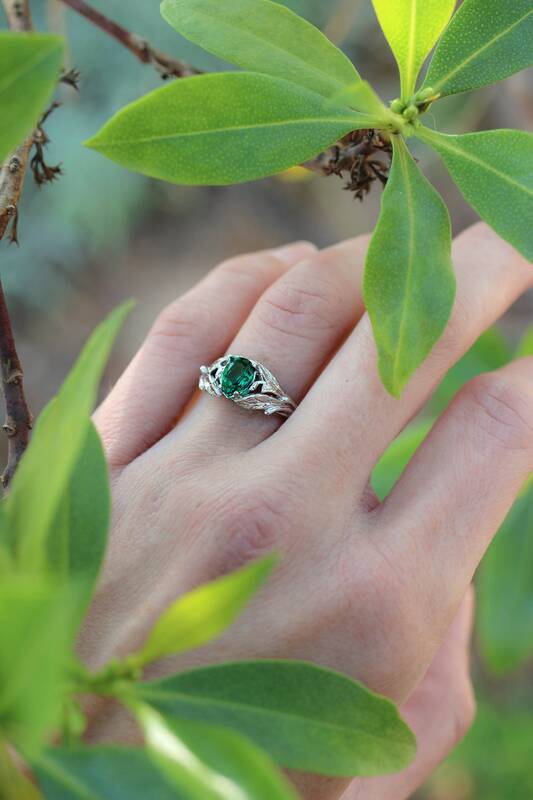 Pear cut emerald engagement ring features botanical design with detailed leaves and romantic mood with touch of vintage inspired style. 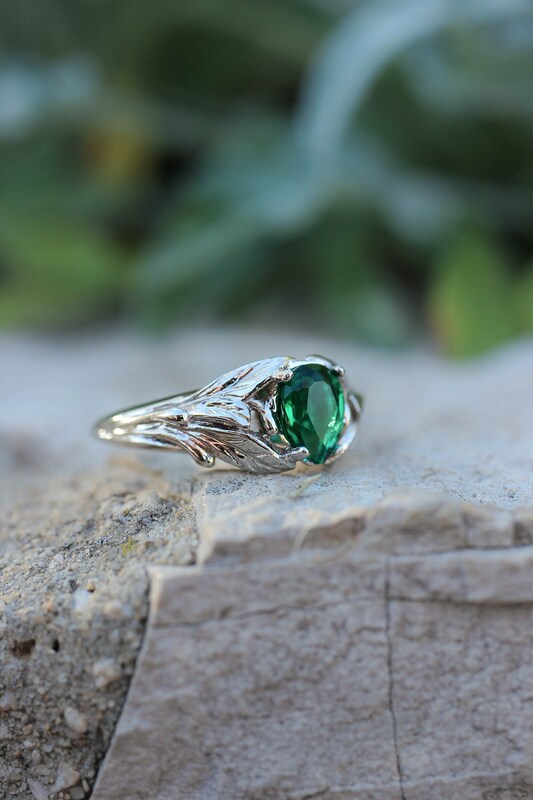 White gold emerald ring could be a lovely birthday or anniversary gift. 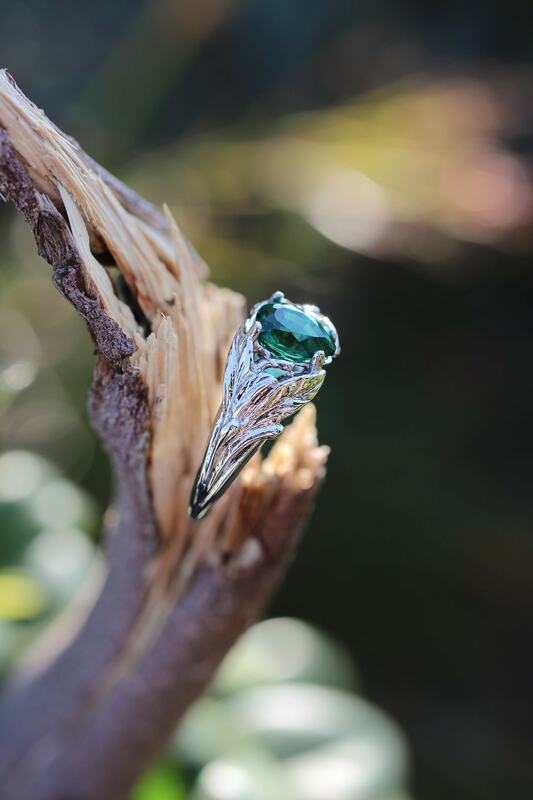 It represents attention to details, good taste and respect to nature. 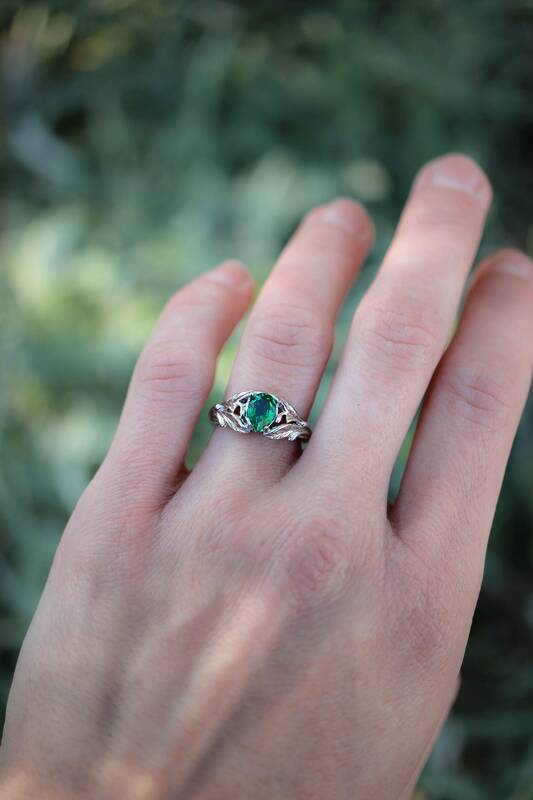 Your beloved will be pleased and amazed by this delicate example of handmade jewelry. 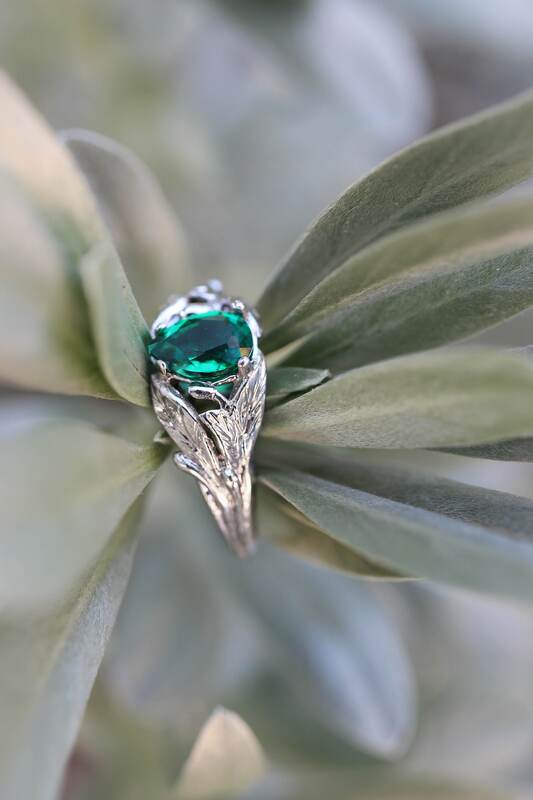 Contact me if you have any questions regarding this leaf and branch ring for her. Size 5 US READY TO SHIP! 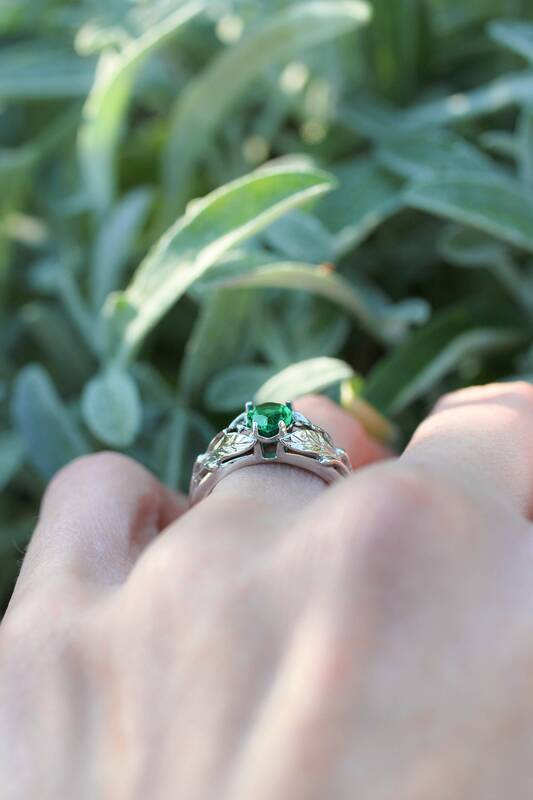 This nature ring for woman can be made in any size, just choose your size when placing an order. 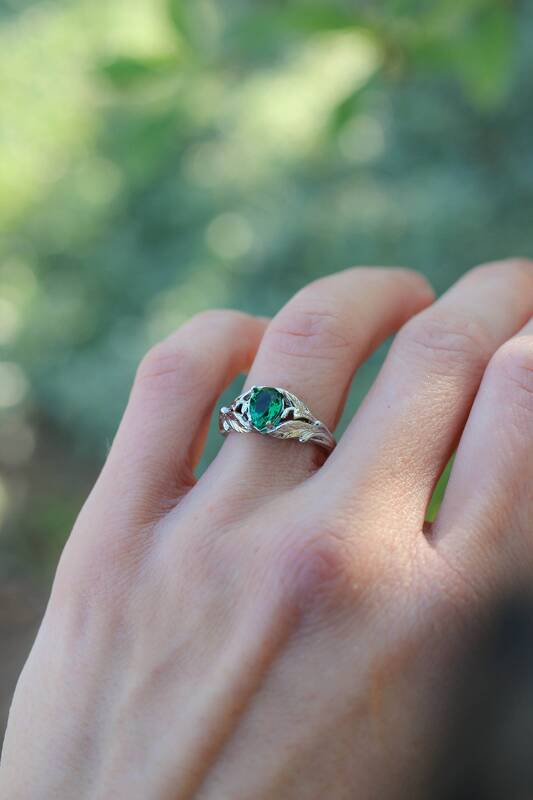 Pear cut lab created emerald: Synthetic Beryllium Aluminium Silicate. Size 7x5 mm. 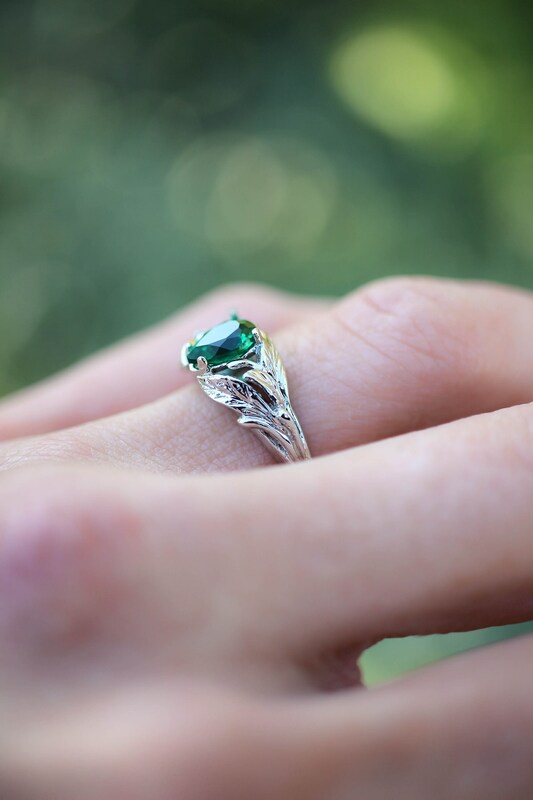 Looks very natural and with gorgeous green colour. 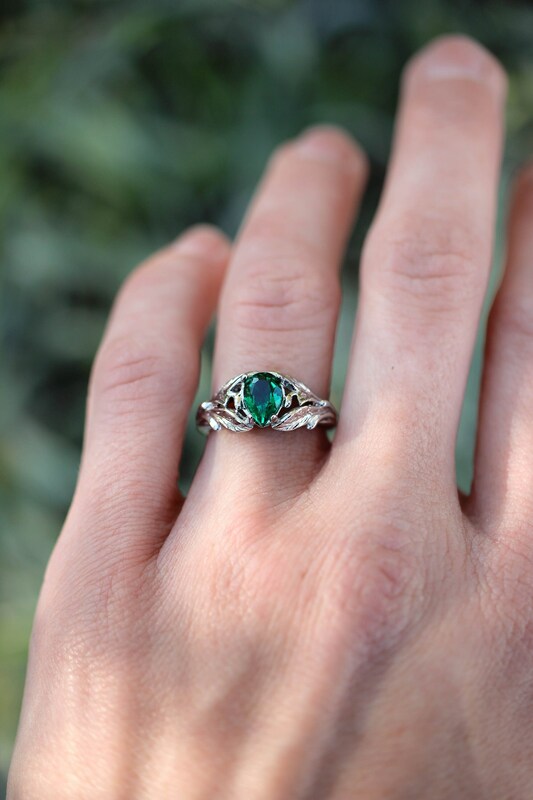 Looking for a specific stone? Please contact, I'll be glad to make a custom ring for you. available in yellow and rose gold as well. Also possible to make it in 8K gold.